Tadelech Ewdanke begins each morning preparing chemo, a local drink she brews from dried coffee leaves, garlic, ginger, and other spices. She serves the steaming drink to her husband and three children along with a plate of kiche, a traditional dish prepared from yams. With her family well-fueled for their day, she continues her own by walking two hours to the forest, where she collects fallen branches that the family can use as firewood. She searches until she gathers a large pile, which she straps to her back for the journey home. Tadelech’s morning is a shared experience for Majang women in Ethiopia, where the forest is a way of life. 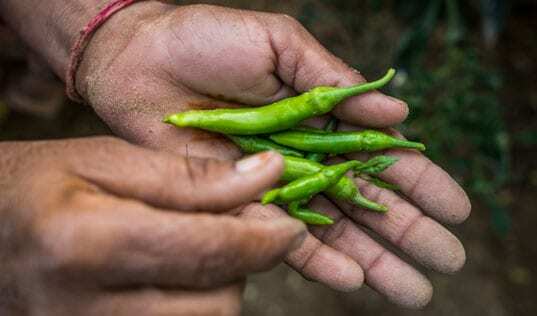 Located in the west of the country, the forest is a unique indigenous ecosystem, and Majang communities have long counted on the products it yields to make a living. 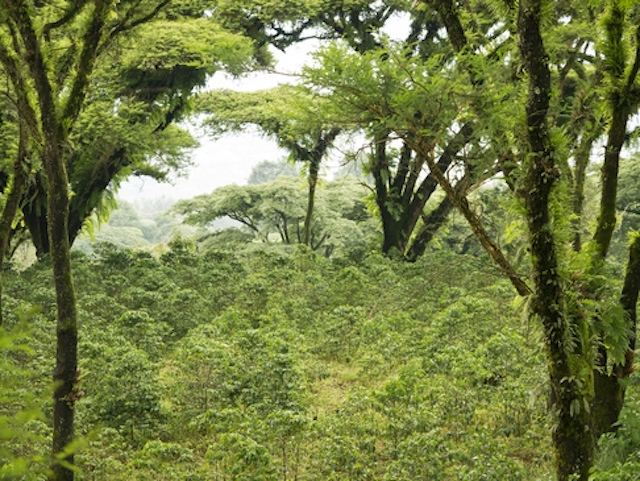 Reconciling forest conservation and economic development for the communities that rely on them is a delicate balance, and while many initiatives focus on only one end of this vital equation, the key to a sustainable future for the forests and its people is to make forest-friendly livelihoods as productive and prosperous as possible. TechnoServe is working with Majang communities to build prosperous livelihoods from their forests while ensuring that this resource will continue to provide a thriving economy for generations to come. One key activity of the Majang Livelihoods project, a partnership with the Swedish International Development Cooperation Agency, is to integrate one of the forest’s most valuable resources into the local economy: enterprising women like Tadelech. In her household, Taladech is responsible for collecting firewood, crafting pottery for household use, caring for her children, hauling water, and grinding maize. Women contribute significantly to their economies – forest or otherwise – through unpaid labor. In addition to her four-hour commutes to the forest for firewood, Taladech also crafts pottery for household use, cares for her children, and hauls water from streams located an hour away from her home. The most time-consuming and physically demanding of her tasks, however, is grinding maize, a staple ingredient in the local diet. Each week Taladech spends more than 16 hours grinding maize by hand with a grinding stone before processing it into porridge or other traditional foods. Majang men, meanwhile, perform nearly all of the communities’ income-generating activities, such as coffee and honey production. The reality of this division of labor is that men have greater decision-making power around income and assets, while women are left to do household-level tasks that are often tedious, tiresome, time-consuming, and non-economically rewarding. In short, women are left with hours of drudgery, little decision-making power, and no time to engage in income-earning activities. In a gender survey conducted by TechnoServe, women reported spending up to 16 hours grinding maize every two days. In order to improve livelihoods for Majang communities, TechnoServe teams are working to reduce women’s drudgery by helping them to more efficiently complete their household responsibilities – creating more time to participate in forest-friendly income-generating activities – which are not harmful to their community’s forests – while providing them with more decision-making power within their households. There is ample evidence that increasing women’s participation in the income-generating labor force is one of the most impactful and cost-effective strategies for catalyzing economic growth. Further still, when women are financially rewarded for their work, they are more likely to reinvest a greater proportion of their earned income into their families than men, fostering a virtuous cycle of growth and prosperity. In the hopes of jump-starting a cycle to the benefit of women, families, forests, and economies alike, TechnoServe conducted a survey to identify opportunities for Majang women to reduce their drudgery and transform their livelihoods in ways that protect the forest. TechnoServe worked with local women's groups, technicians, and governments to build a sustainable business model for maize mills in forested areas. Analyzing results from the survey, TechnoServe teams quickly identified maize grinding as one of the main activities preventing women from participating in income-earning activities. Not only is it one of the most time-consuming and tiring of women’s tasks, but it could be efficiently completed using available technology. Ethiopia’s government had previously constructed maize mills that had not been maintained, but that – if managed properly – could provide not only a way for women to save time, but a business that they could run themselves, reducing their workloads and creating economic activity in one fell swoop. However, even such an effective solution would have no impact if the maize mills couldn’t – or wouldn’t – be maintained by the community. Clearly the mills had failed before. Working with local women’s group responsible for the mill, technicians, governments, and cooperatives, TechnoServe helped the community repair one mill and identified the maintenance, technical, and business gaps that had caused the previous mills to shut down in the first place. In part the mills had been unsuccessful due to a lack of proper business planning, knowledge, and funding for repair. 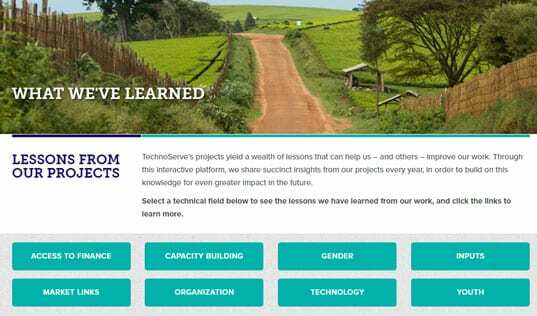 To address these challenges, TechnoServe connected the women’s group with a nearby farmers’ cooperative that agreed to fund current and future repairs in exchange for co-op membership. In order to ensure sustained their business success, TechnoServe provided business and management training to the women who would independently own and operate the mill. 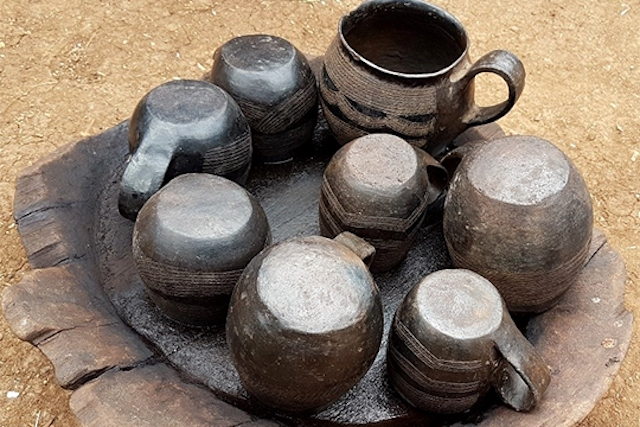 With all the pieces in place for the mill to run as a sustainable business, TechnoServe also worked with the Majang community to ensure its cultural sustainability. In part, Majang women spend so many hours grinding maize due to the cultural importance placed on the ground maize’s “purity” and processing. 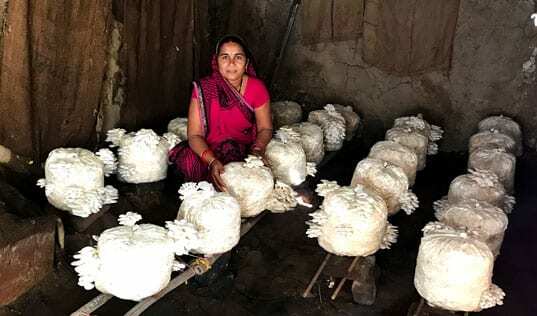 Despite it’s time-saving ability, milled maize flour never found a solid market among the Majang community, as it seemed discolored and of lesser-quality than their hand-ground maize. In order to fully replace women’s hours grinding maize by creating an equally exceptional product, TechnoServe and women leaders of the mill restricted grinding to maize only. When no other grains are milled, the powder produced is pure and properly colored to local standards, meaning a maize-only mill can build sustainable demand in the Majang community. Now, the mill is operational and providing milling services to local women – including Taladech – saving her and others between 8 and 10 hours every two days. The project is now working to facilitate the repair and rehabilitation of another nine maize mills in this forested area using this locally tailored model. To date, the Majang Livelihoods Project has trained more than 1,000 Majang producers to improve their livelihoods – 40 percent of them women. Now that Taladech’s time is freed up from full workdays grinding maize, she’s now training to produce one of Majang’s most important non-timber forest products: honey. TechnoServe identified backyard beekeeping as an economic activity that women could participate in because while many cultural norms limit forest beekeeping as an exclusively male activity, several of those cultural barriers can be overcome with simple solutions that make the enterprise not only possible, but sustainable for women. One simple innovation was to bring the hives from the forest’s treetops to the home. Hives are traditionally kept in the forest, high in the trees, and men climb the trees to collect the honey. While women certainly wouldn’t have time for another trip to the forest to collect honey, they were also excluded from beekeeping due to the cultural norm that both climbing and the risk of bee stings are unsafe for women. However, through TechnoServe’s Honey Farm College, Taledech is learning how to care for hives right in her own backyard, where the hives are set on easily reached platforms. She boasts that she now inspects and maintains the hives, keeping them clean and protected from ants using different organic sprays and other methods to prevent them from reaching the hives. While her husband collects the honey to avoid exposing her to bee stings, her comprehensive care for the hives means she has more say in how the additional income will be spent. 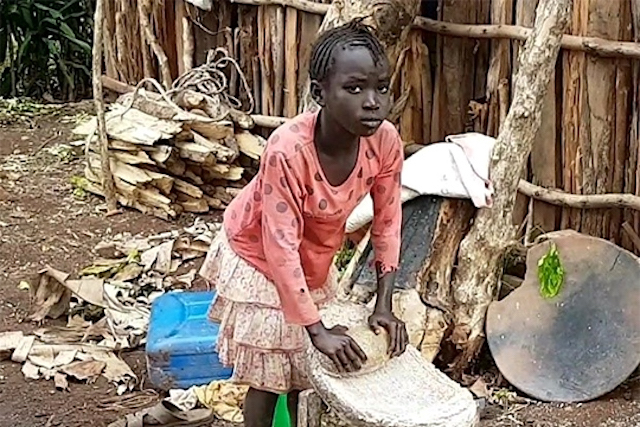 And she already has big plans – she hopes to use the money to pay for her children’s school fees, upgrade her house with cement walls, and invest in livestock for the family. With the time and training she needs, she’s well on her way to turning this dream into a reality. TechnoServe has helped facilitate a contract between the Majang union and a honey buyer, giving honey producers like Taledech a pathway to aggregate and sell her honey at improved prices, and to date, the project has trained more than 1,000 Majang producers to improve their livelihoods – 40 percent of them women.